FOREST PARK, Ohio -- A Colerain Township police officer in 2017 stole medication from a home in the township "while there on official business," according to a news release from the Hamilton County Sheriff’s Office. She was arrested on Thursday. 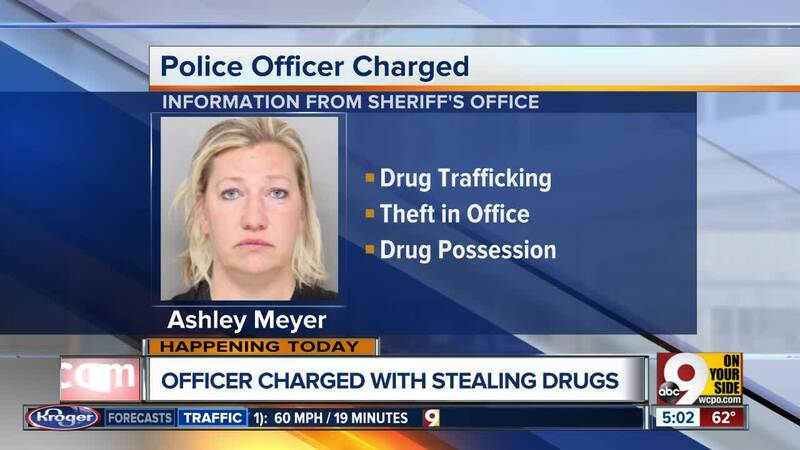 Former officer Ashley Meyer now stands charged with theft in office, trafficking in drugs and possession. 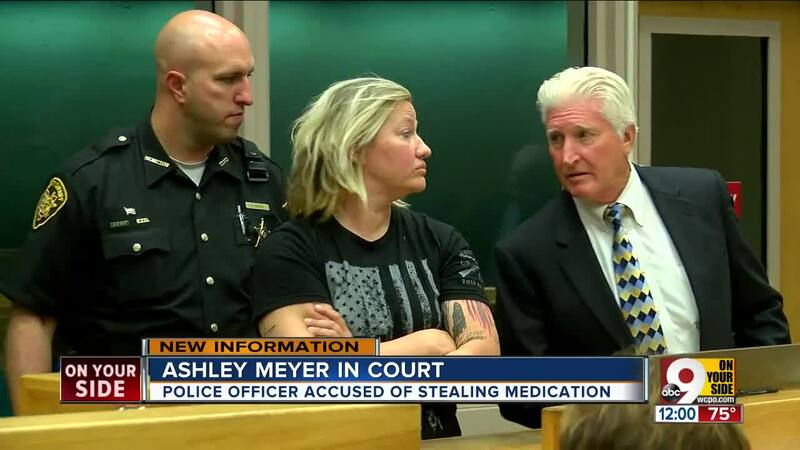 According to the sheriff’s office, Meyer stole the medication in late 2017, shortly before she left the Colerain Township Police Department for the Forest Park Police Department in May. Forest Park Police Chief Bill Arns said he didn’t know about the investigation until this week. Officers would later discover the medication had been offered up for sale in January, and they were able to trace it back to Meyer. When officers investigated her Colerain Township home, they discovered methamphetamine, marijuana and "a white powder substance, possibly crack cocaine or heroin" inside. "If these allegations are proven, this is a sad state of affairs,” Hamilton County Municipal Court Judge Ted Berry said. Meyer resigned from the Forest Park Police Department. Her salary was $70,218.72 at the time of her resignation, according to Arns. Meyer had been an 11-year veteran of the police force. Berry issued a $30,000 bond on Friday. If Meyer is released, she must wear an electronic monitoring unit.